This is a hot pink silk Gerbera Daisy that is attached to a silver alligator clip lined with grosgrain ribbon. The daisy can stand alone as a decoration in the hair or it is a great add on clip to any colored bow, crochet hat or headband. 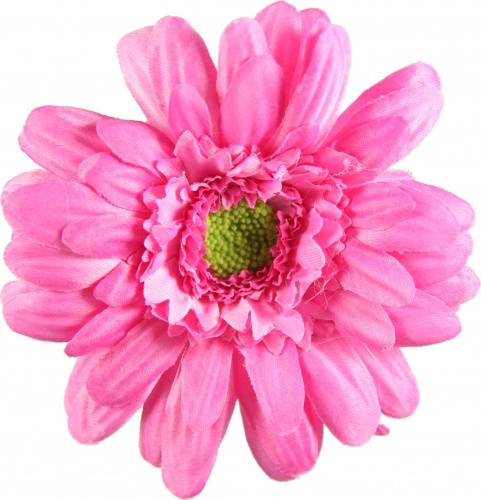 This will help to change any look with a dressed up pink daisy. It is 3.75" circumference.